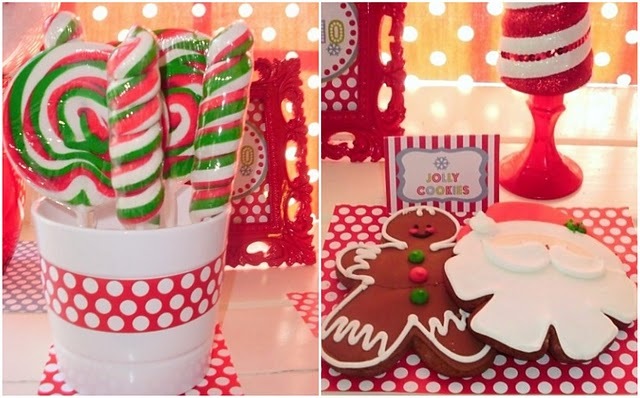 Today I wanted to share a sweet cookie decorating party that a customer styled using the Amanda's Parties TO GO Christmas Snowman Collection. 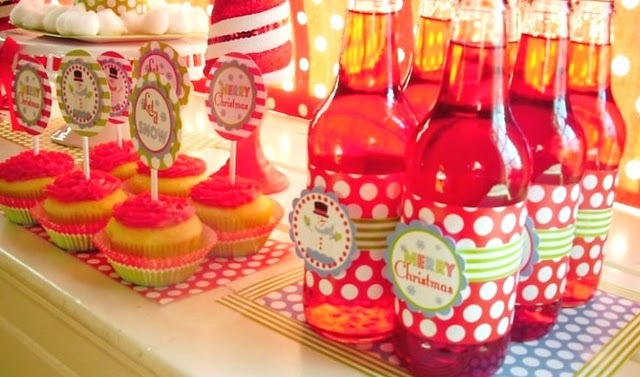 Laura from Live, Laugh, Celebrate, put all of her creative genius to work to create an adorable and unforgettable party for her stepdaughter, Lola, and a few of her friends. She was even featured on Celebrations at Home this week! Just look at all of these wonderful ideas Laura has for styling a party with printables. 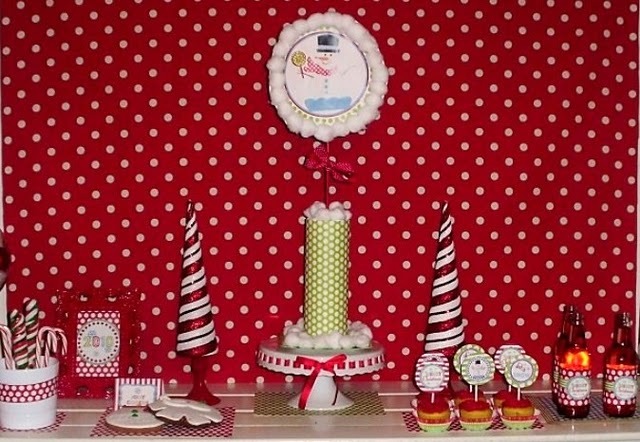 Laura created a sweet party table using an eye-catching red and white polka dot backdrop. 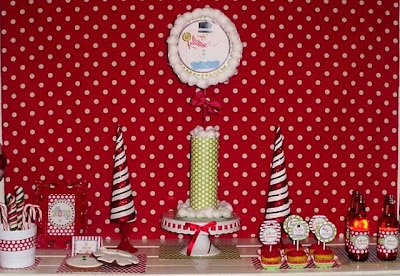 I love how she improvised "snow" as a frame around the 8" centerpiece snowman circle using of all things -- cotton balls! 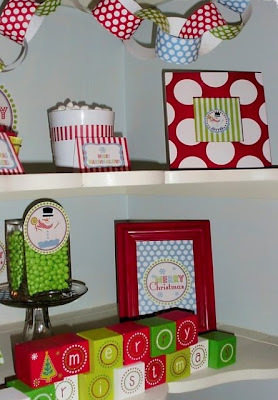 Laura also took advantage of the extra polka dot and striped papers in the Let it Snow Collection as used them as "ribbon" around candy jars, as wraps around the drink bottles, in frames and as liners for cookies and other displays. Isn't this the cutest? 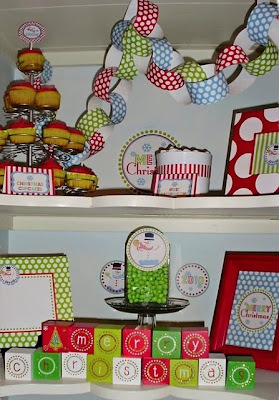 Laura, used a shelving furniture piece as a display for her party -- perfect for featuring all of her goodies in fun and creative way. The paper chains are one of my favorites. 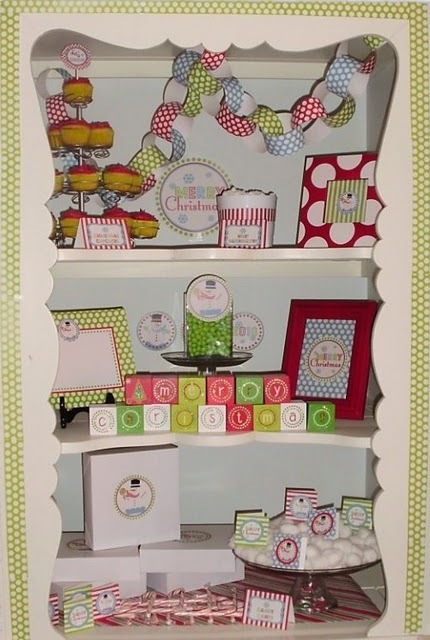 Laura took all three of the polka dot papers in the collection and cut them in strips to make a festive paper chain. 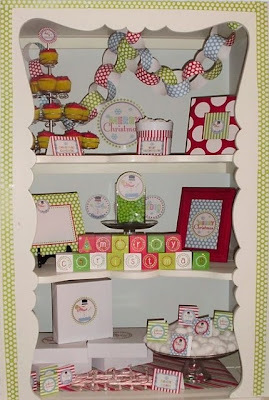 What an adorable decoration for her cabinet display! must have LOVED their party! oh my.. that is ALL so adorable. I love it. What a great idea. How very Snowalicious!!!!! Beautiful as always!!!! Thank you so much Amanda! Congrats on all the features you have been receiving from your collection. It's so adorable!